Job alerts is a FREE service that will keep you informed about the latest job opportunities as they come available. 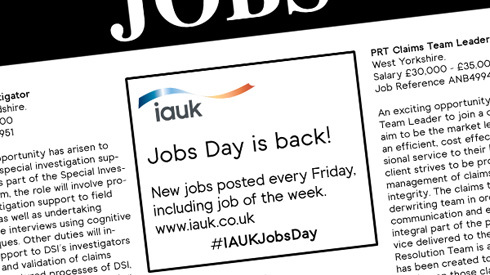 We will send you the job details as they arrive on the IAUK website. You can receive job alerts via email or via an RSS feed. Once you have performed a search on our site you will be given an option to have similar search results emailed direct to your inbox as soon as they come in. Simply enter your email address and click on the submit button. Jobs matching your selected criteria will be emailed through to your inbox. An option to unsubscribe will be included in the email you receive. Should you get zero search results you can still use the Job Alert service, and any jobs matching your specified criteria will be emailed to you as soon as they come available.